THE TENTH ANNUAL $25 DAYS OF CHRISTMAS!!! For a decade now, the $25 Days of Christmas has given away thousands of dollars in cash prizes to local shoppers for supporting our local business community throughout the holidays and all year round! 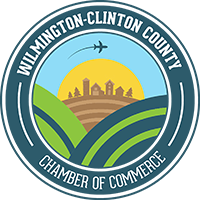 We are very excited about repeating the promotion again in our TENTH year, and will be giving away another $2000 in cash prizes and great local gifts! Beginning November 23rd, each time you spend $25 at a participating business (listed below) you’ll be eligible to win one of five $100, two $250, or one $500 cash prizes or one of over 30 great local gifts!! To celebrate our tenth anniversary of the “$25 Days of Christmas,” we’ll also be giving away five $100 cash prizes to random local shoppers throughout the promotion! PARTICIPATE IN 3 EASY STEPS! (1) SHOP at a participating Local First business from Nov. 23rd until Dec. 14th. (2) SPEND $25 or more. 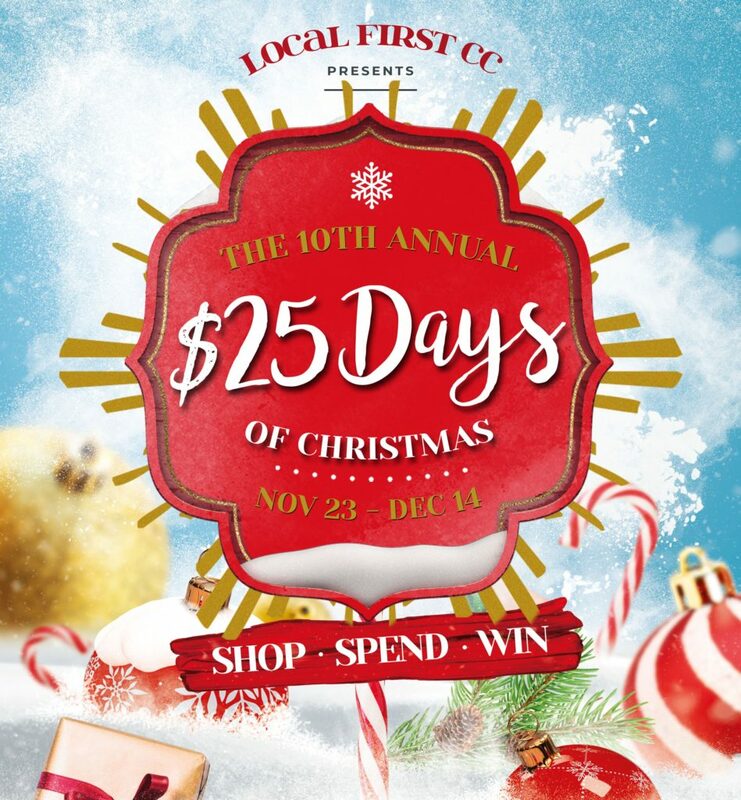 (3) WIN one of our fantastic local gifts or one of five $100, two $250, or one $500 cash prizes from Local First! Prize drawings will take place on November 30th , December 7th, & December 14th!